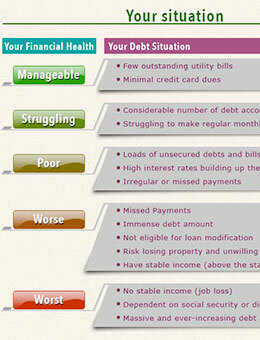 5 mins guide: Find out your best debt free option. 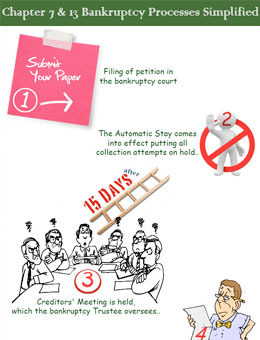 Chapter 7 & 13 bankruptcy processes simplified. 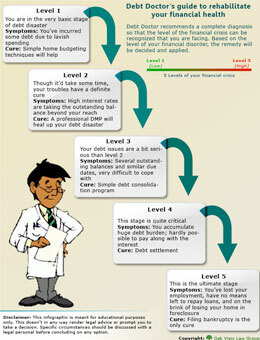 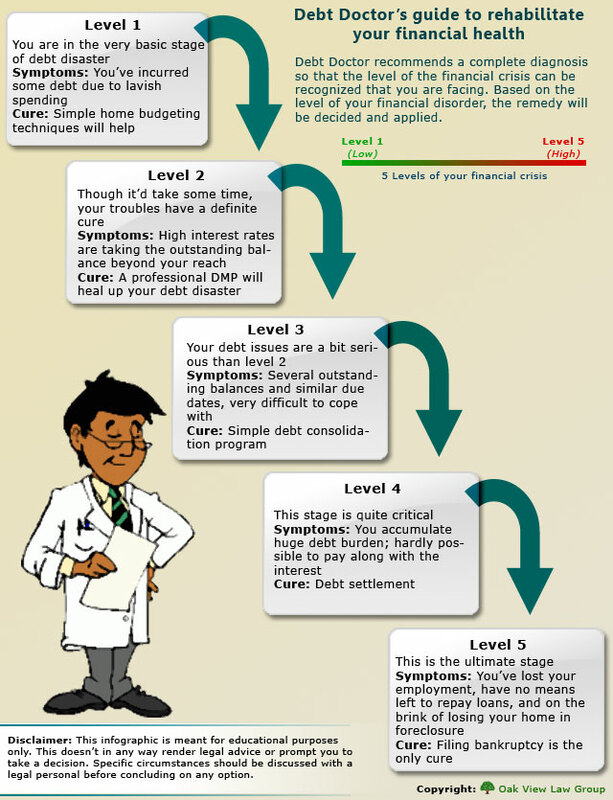 Debt Doctor's guide to rehabilitate your financial health. 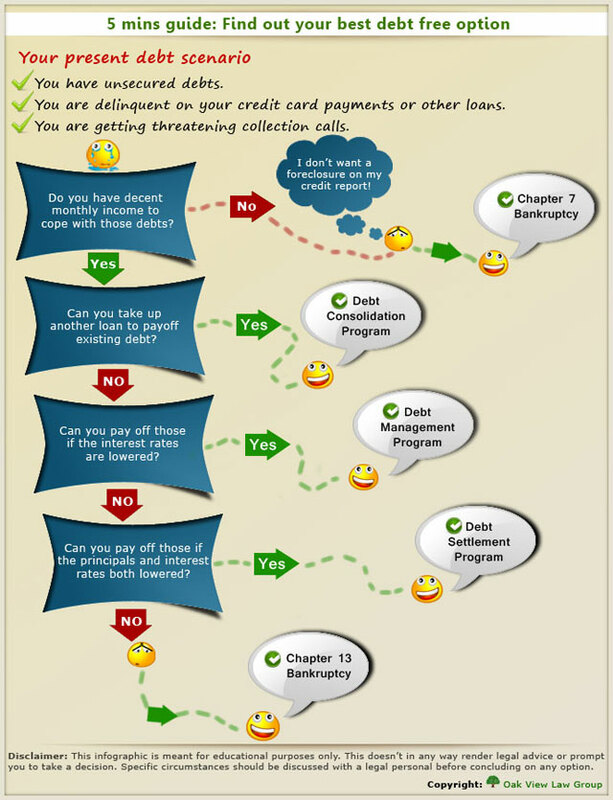 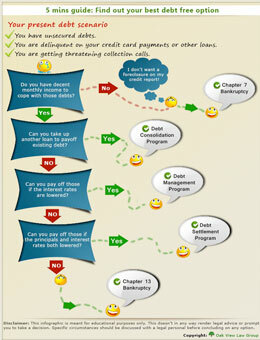 Waterfall approach to debt free™.